The Wiley X Top Jimmie sun glasses are constructed with a nearly indestructible triloid nylon frame that comes complete with removable facial cavity seal and tension strap. The facial seal can be removed so you can get after it when necessary or remove it for that casual walk in the park. Dual injected rubberized temple tips for a comfortable sport grip. Semi hard case included. 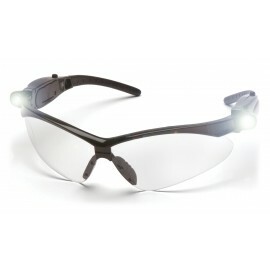 The Wiley X Top Jimmie sun glasses fit medium to large sized heads. Meets ANSI Z87.1-2003 safety standards.